A spring in my step in Sussex! 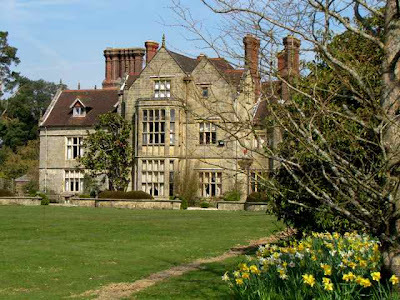 I arrived from India yesterday and am so happy to see the English greenery and gardens in full spring bloom! I love Rajasthan, but the temperatures there have been quite a strain in the last two weeks and we were only able to work early in the morning or late in the afternoon, because it was like stepping into an oven! That said, the hospital is on track; the project is nearing completion, and we will soon be opening our doors to the rural villagers in Rajasthan. So now back to England, and all her glory, with the gardens in bloom and I cannot believe the lush greenery here .... no cows or camels on the roads; clean streets; beautiful gardens and a life style so different to India. I nearly missed my flight from Bombay because my flight from Udaipur was late, and had to embark on a hair-raising taxi ride between the domestic and international terminals, to make sure I caught my London flight. But my driver was good and we made a mad dash through one of the great slums of Bombay to make sure that I was there on time (the airport buses weren't running, so I had no choice!). 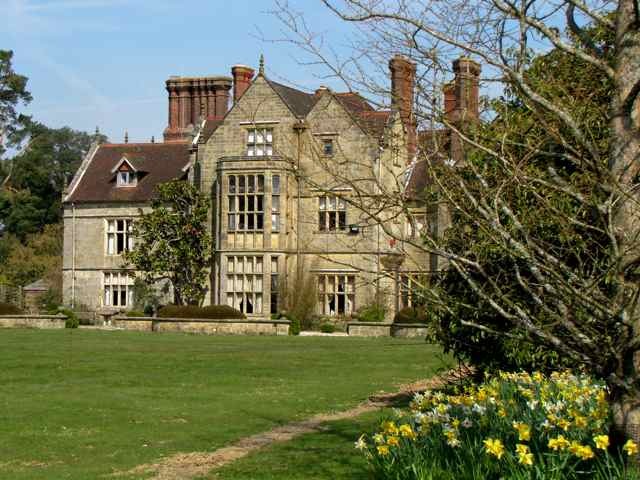 So now to two of my favourite spring gardens here in Sussex - glorious Borde Hill (above), with its beautiful house and amazing collection of rhododendrons, azaleas and magnolias - quite magnificent at this time of year, with everything in bloom. 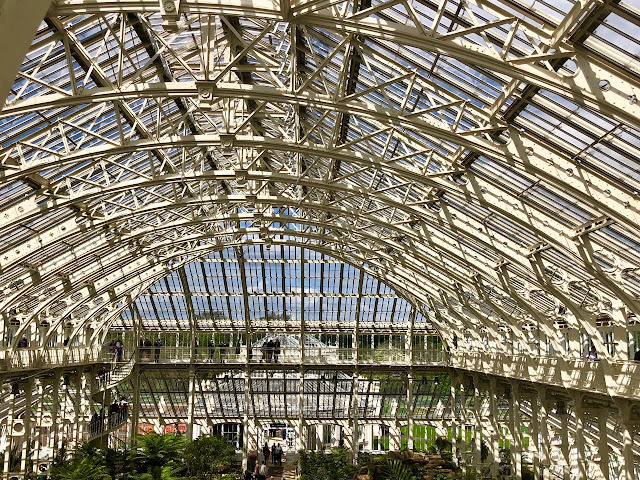 Add to that some 200 acres of parkland and you begin to realise why we Brits are so devoted to visiting gardens!! The azalea circle will soon be in bloom, and I shall go back and visit in the next couple of weeks to take pictures. 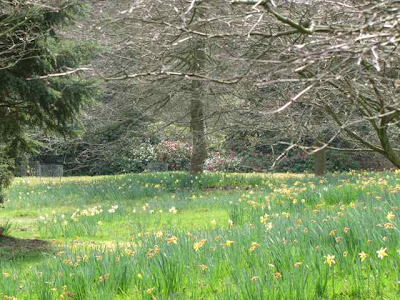 This garden is just perfect in spring time - get there if you can because the bluebells will soon be out! Combine this with High Beeches, just a few miles away and you will have a perfect day out. 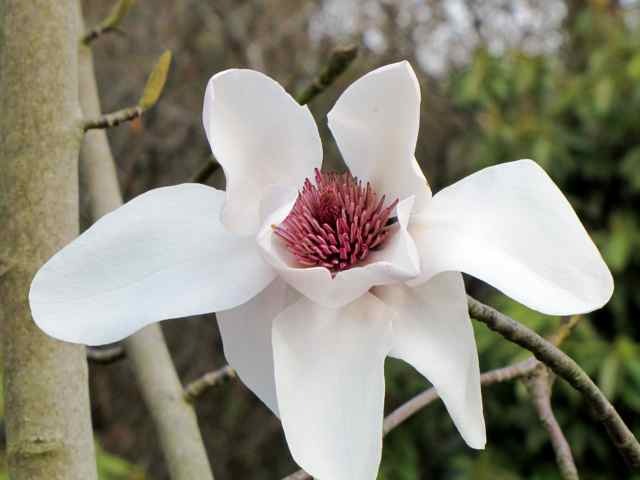 This is a perfect woodland and water garden, with rolling hillsides covered in flowers; stunning magnolia, azalea and rhododendron collections; home to the National Collection of stewartias and one of the best wildflower meadows in the country. The bluebells here are also astounding - this is a garden to savour and enjoy, stroll gently through and see English countryside at its best! Both properties are members of the Historic Houses Association (HHA) - see sidebar on right for further details, and English readers might want to consider joining, because an annual membership will get you into all their properties nationwide - both houses and gardens! 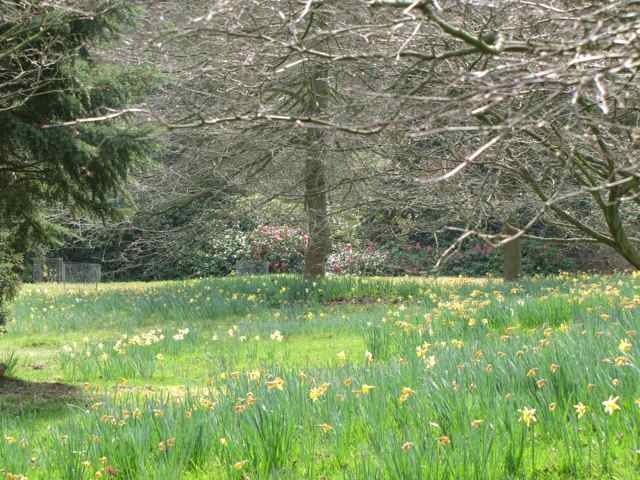 HHA has some of the finest gardens in Britain and I shall be galloping round quite a few in the next few weeks to soak up spring here. The garden is really lovely. I can imagine strolling over that little bridge. I cannot imagine a more perfect welcome home than a visit to these two beautiful gardens. Oh, how I miss the bluebells! Wow, what beautiful photos! I know when I am away from Pennsylvania, the one this I miss is the green. You have returned to some glorious weather with which to enjoy Sussex's lovely gardens. So glad you're back home safe and sound and you're back at one of the loveliest times in the gardening calendar in the UK. 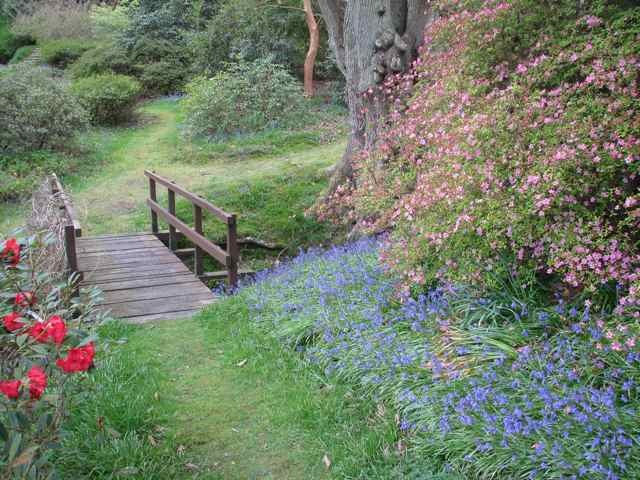 I can't wait for the bluebells to start flowering. 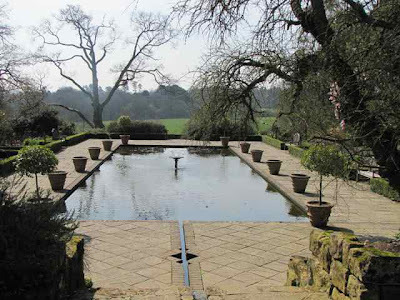 Those gardens look so inviting Charlotte and I would love to see the national collection of stewartias in bloom. Thank you for sharing your trip to India, I really enjoyed your posts. But welcome home! So glad you still get to enjoy the height of Spring in England! very beautiful garden tour....sounds like the typical transitions from hustle and bustle and barely making it to cold and serene...isn't nice to have both in your life and creates a good synchronicity! 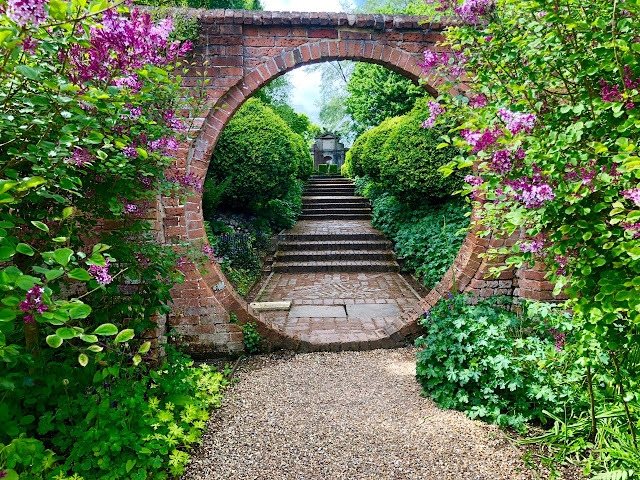 Simply gorgeous gardens. I do love Sussex! Once went all the way to Borde Hill to see the Veiled Lady. I so admire the work you do in India, and love the photos of your travels. I must say, though, that I'm delighted you're back in the UK. I always get new ideas for places to visit! Sigh. I love it there. Isn't it wonderful that you come back from the heat to a wonderful cool place with all the spring beauties waiting for you? Love the last two pictures!!! So beautiful! Are those yellow flowers the day lilies? There's nothing as green as the green of England. Thanks for sharing the great pics. I'm looking forward to see more pics of bluebell.